[New South Wales, Australia] – When he was five, Thomas Dilley started a dance class with his older sister. A year later, she left the class, but he kept on and now, the Bateau Bay 16-year-old is set to move to Melbourne to study fulltime with the Australian Ballet School. Thomas will feature as one of just 51 selected artists from all over the state in this year’s Schools Spectacular on Friday and Saturday [November 27th & 28th 2015] ahead of his move to Melbourne early next year. Thomas looks well set on his path to a professional ballet career. The young dancer, who trains at least six hours every day, will feature in an ensemble ballet piece and perform a contemporary solo piece at the Spectacular at Qantas Credit Union Arena in Sydney. The show was this year opened to distance education students and it will be his first Spectacular experience. “I’ve wanted to do it for so long, but never had the opportunity before,” he said. It will be televised on Channel 9. [Arcadia Vale, New South Wales, Australia] – Arcadia Vale ballet dancer Benjamin Anderson is about to take the leap. 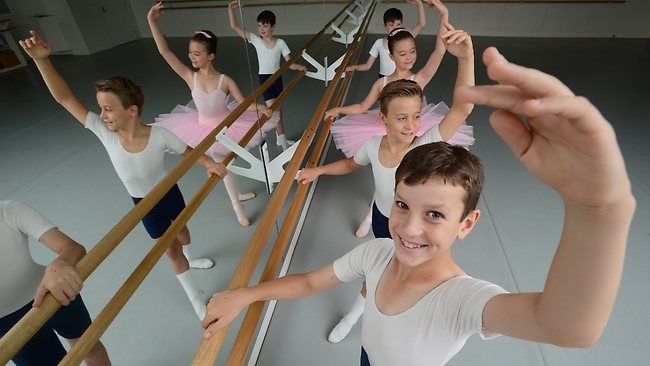 The 13-year-old former Newcastle Ballet Theatre student will this weekend move into the Australian Ballet School’s brand new, state-of-the-art student residence in Melbourne. There he will study dance full-time for five years and attend the Victorian College of the Arts Secondary School. The world-renowned Australian Ballet School’s eight-level program aims to produce graduates of the highest calibre, many of whom go on to dance with the top professional companies in Australia and around the world. 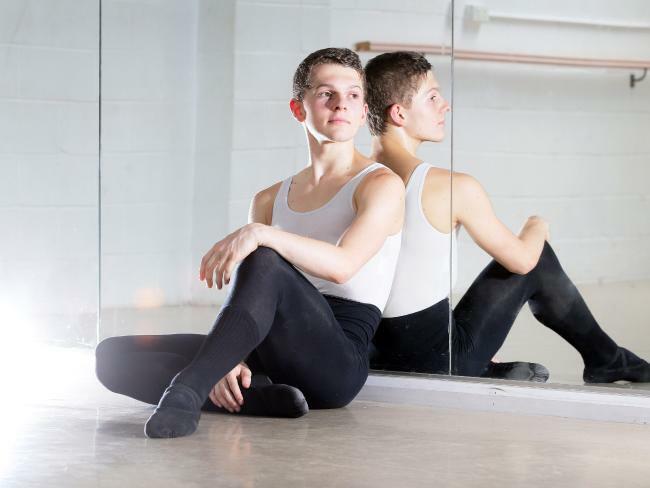 Benjamin was one of only four boys in the country – and the only one in the state – to gain acceptance into the ballet school’s entry-level program late last year. He was chosen based on his performance at national auditions, where he caught selectors’ eyes. Benjamin has been dancing since he was seven but has only three years’ technical training. Naturally, he is excited to start his professional ballet career so early in the peace. After he finishes the program, he may be asked to join the prestigious Australian Ballet Company. It is Benjamin’s dream to star in productions such as Sleeping Beauty and Swan Lake. But wherever he ends up, he is excited for what lies ahead. And on moving away from his family, Benjamin said it would be tough but he knew he would pull through. “I think I’ll definitely miss home – my mum, my dad and my brother – but I’ll be fine. 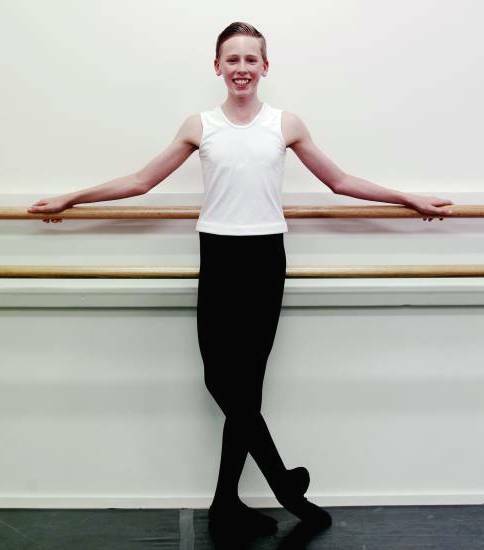 [Sydney, Australia] – While it hasn’t been a smooth ride, after years of dedication and perseverance dancer Thomas Gannon, 14, has been accepted into the prestigious Australian Ballet School. He understood to be the only boy from Sydney to be offered a position. “I’m very overwhelmed, and relieved,” Thomas said. But it has been a long journey for the young dancer, who fell in love with ballet after tagging along to his sister’s classes at the North Shore Dance Academy as a toddler. For the past few years he had been accepted into the Australian Ballet School training program, and last year he had hoped to finally make it there full time. When the offer came for 2015, Thomas and his family had to make the heartbreaking decision to refuse due to a serious back injury, according to his mum Lhan. “They’ve known him for a long time and we knew they would nurture him, but he wasn’t fully healed so we decided not to accept,’’ Ms Gannon said. Thomas and his mother will now move to Melbourne in the new year. He will study fulltime at the Australian Ballet School combining dance and regular classes. Growing up as the only boy in a ballet class full of girls, you may think Rudy Hawkes was a common target of name-calling among his male peers at school. But the former Ipswich dancer said it was actually the ongoing support from his friends which encouraged him to pursue a successful career in ballet. © 2014 The Queensland Times Pty Limited . 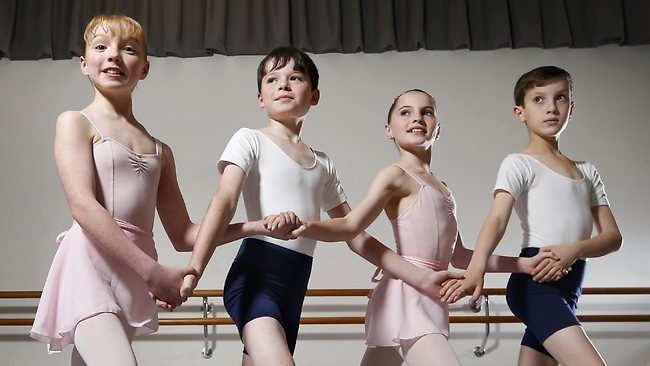 [Rooty Hill, New South Wales, Australia] – John Paul, Alexander and Daniel are elite ballet stars and while Rooty Hill may seem an unusual place to foster such talent, the trio began their careers going to local jazz, tap and ballet classes as preschoolers. Oldest brother John Paul (27), a member of the Australian Ballet, has called Melbourne home since he join the Australian Ballet School as a16-year-old. 2013 has been a big year for John Paul; he’s recently married and became a homeowner. Alexander (20) spent 2013 as a member of the Queensland Ballet but joins the Royal New Zealand Ballet next month, where he’s looking forward to reuniting with his girlfriend. Being professional dancers means the brothers have lived away from their family since their mid-teens, so this get together is a rare treat. “Coming home means home cooked meals and Mum’s delicious cooking and having the family around like my sister Yvonne and my nephews”, Alexander says. The boys credit their parents Elizabeth and John for encouraging and supporting their careers. “Mum always flies in for when I do special roles. Recently, I was the Prince in Nutcracker and she got up at 4am to fly to Brisbane to see me perform in a matinee and then I didn’t even get to see her because she had to catch a plane home. I love having her in the audience, it give me a real boost. Dad loves it too, and he’s a man of very few words,” Alexander says. Following in the footsteps of his two older brothers, youngest brother Daniel (17) is a student at the prestigious Australian Ballet School where John Paul keeps an eye on him. The only boy in the family not to dance is Michael; he tried ballroom dancing but settled instead for a career as a plumber. As the ground breaker, John Paul says his Rooty Hill school days were difficult. “I’m not going to say it was easy time in my life; it wasn’t until I moved to McDonald College in Strathfield that they accepted me for who and what I was doing. It was massive burden off my shoulders not having to go to school worrying about what other people were thinking,” John Paul says. “All that verbal stuff was damaging but you push through because you know what you love, and you do what you love, who cares what anybody else thinks really. It’s funny to think that in this day and age now, where dance is so accepted everywhere you go, they’re even doing it at school, to think back then how critical everyone was,” he says. Surprisingly, the brothers have never danced together. “It would be a dream for all three of us to dance one day together, wouldn’t that be weird”, John Paul says. But these holidays, for a few days at least, John Paul says it’ll be a ballet-free zone in Rooty Hill. They may still be in primary school, but these young dancers are old hands at performing in the big league. The Australian Ballet School students have been cast in Swan Lake, opening at the State Theatre on Friday night. Ballet master Tristan Message said most of the eight children in the production had already performed in professional ballets, just as he did as a boy. “The first time Graeme Murphy created The Nutcracker back in 1992, I was one of the children in that production,” he said. The choreography is not difficult for the children to master. The greater challenge is getting them to understand the story and produce the appropriate dramatic response. They will play the children of characters in Swan Lake and be involved in several full rehearsals before opening night. “The dancers are good at supporting and helping the children. It’s a rich and vivid environment and it’s great opportunity for them,” Message said. Swan Lake runs until July 1. [Kansas City, Missouri, USA] – When Aidan Colligan told his friend he had signed up for ballet class, the boy immediately took the news to the top of a school chair in taunting proclamation, “Hey everybody, Aidan takes ballet.” It might have been an embarrassing experience for Aidan, then 6, if it weren’t for one thing: No one cared. 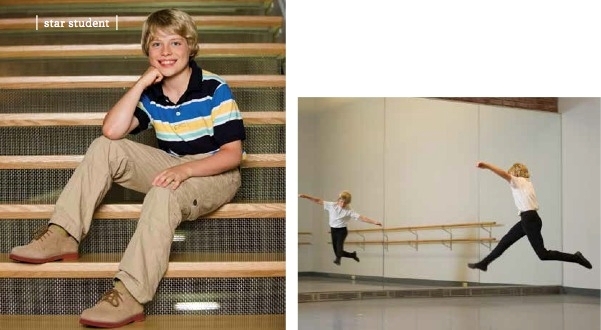 “So I guess some people think ballet is for girls only, but others don’t,” says Aidan, now 10. And it’s easy to see why. Not only has his gift catapulted him into some of the most coveted roles in ballet, his talents have served to imbue him with a level of confidence his mom, Jenifer, attributes to honing in early on Aidan’s natural abilities. “Aidan was pretty shy when he was younger, and even as recently as two or three years ago was very, very, reluctant to try anything new,” Jenifer says. “But I had also seen that he was musically motivated, so thought it would be good for him to have a creative outlet.” That ballet and having a creative outlet would prove beneficial for Aidan proved to be an extraordinarily profound understatement. By his second year with the Kansas City Ballet, Aidan had landed a role in the party scene in their world-class production of The Nutcracker at The Kauffman Center. “Aidan was pretty shy when he was younger, and even as recently boys in trouble and generally leading them into mischief,” he says. as two or three years ago was very, very, reluctant to try anything In fact, Aidan says his first experience performing in the cast of The Nutcracker is his most memorable life experience to date. The bolster in self-confidence and discipline Aidan has gained from ballet has extended much farther than the stage. “Aidan is stronger and more physically toned, more coordinated, more flexible and more focused and disciplined as a result of having taken ballet,” Jenifer says. Starting out as a relatively introverted kid reticent to try anything new, Aidan now also runs track in the spring and plays basketball in winter—both of which, he says, often conflict with ballet. No big deal, he says. When then, does Aidan squeeze in academics? Judging from his 97.5 cumulative percentage at St. Therese North, Aidan is handily juggling his schedule with gusto, and with the kind of confidence that can only come from the faith he has in the power of his own discipline and focus. “I think Aidan’s experiences performing have shown him that if you just focus on doing your own part the right way, you can be a part of something really big,” Jenifer says. Aidan agrees. “Ballet has given me the chance to feel like I’m really a part of something, instead of just watching ––and wondering.” His mom adds to that thought. “And giving him a little appreciation for the performing arts doesn’t hurt either,” Jenifer says. McAllister, the artistic director of the Australian Ballet and former principal dancer with the company, has witnessed a significant increase in the number of men taking up ballet. The number of male dancers aged five to 14 has risen by more than 50 per cent since 2006, according to figures released by the Australian Bureau of Statistics. Forty per cent of students enrolled at the Australian Ballet School are boys, and the number of men performing with the company is the highest since 2007. The bureau found dance was ahead of singing and drama as the second most popular cultural activity for boys, behind playing a musical instrument. Last year more boys participated in dancing than athletics, with the number of male dancers not far behind rugby union, according to the bureau. His fellow performer Cameron Hunter took more convincing. Hunter said it was considered unusual when he took up ballroom dancing at the age of eight. He was reluctant to take up ballet five years later, particularly because he did not want to wear tights and a jockstrap. ”I had to be heavily coaxed into doing it,” said the 21-year-old from Perth, who will perform in the Australian Ballet’s Vanguard show of three ground-breaking works at the Sydney Opera House from Tuesday. McAllister, who was a seven-year-old boy in 1960s Perth when he took up ballet, faced a harder road. It took him a year to convince his parents and then find a teacher willing to take him on. For the next nine years, McAllister was the only male dancer in his school. McAllister said half the company’s dancers were heterosexual although he admitted the company ”went through a period of setting up fireworks” to show off a heterosexual male dancer. There’s nothing “girly” about ballet when you have to get up at 6.30am to do homework, leaving after-school hours free to do a 1 1/2 hour dance class, followed by stretching and conditioning sessions. 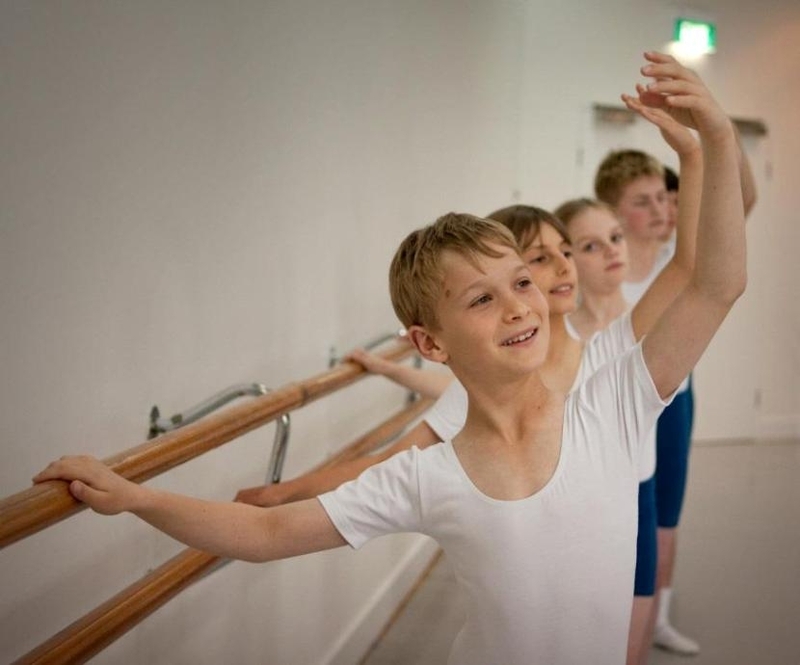 Inspired by movies such as Billy Elliot and reality TV shows like So You Think You Can Dance, 40 per cent of students at the Australian Ballet School are now boys. Ethan Slocomb, 11, a student at the school, first started dancing as a three-year-old after attending his sister’s concert. Now he’s about to perform professionally in the Australian Ballet’s Don Quixote. “The kids at school think it’s pretty cool and the teachers like it as well,” he said. Australian Ballet artistic director David McAllister said the higher number of male enrolments had led to higher standards. “I guess even when I was auditioning for a job, if you had two legs and could put one foot in front of the other, you were pretty much in, but these days it’s just as competitive for the men as it is for the women,” he said. The Australian Ballet’s Boys Day program gives nine to 14-year-olds a chance to learn about the life of a professional dancer. The Sydney Opera House will host Boys Day on April 13 and November 16.